Soon after graduating high school, Jeanie would marry her first husband, Earl Carpenter. The couple had no children together and would divorce soon after. On July 20, 1969, Jeanie would marry her second husband, Thomas B. Brown. The couple became members of Saint John's Lutheran Church in Peru, IN. Jeanie would go on to endeavor a career in banking for over 40 years; working for Peru Trust Company, Wells-Fargo, Salin Bank and retire from Lake City Bank in 2011. Throughout the 1990's and into the 2000's, Jeanie would become a real estate agent for Century 21 and ultimately a real estate broker. Jeanie would leave real estate in the early 2000's and return to banking for Lake City Bank until her retirement. Jeanie and her husband had many friends that held them close throughout the years. Jeanie was renowned for her fun-loving personality and her laughter. She could brighten the room with her story telling, jokes and songs that she would sing. Her generosity towards people was completely selfless. Jeanie was especially kind to the elderly. She was known to bake bread and deliver it to elderly bank customers that she served over the years during holiday times. Jeanie took time from her family duties to care for Florence C. Berry until Ms. Berry's passing. As a hobby pianist, Jeanie loved to play for friends and family to entertain them in her home. Jeanie also had the privilege of playing the calliope in the Circus City Days Parade. Jeanie's love for crafts was shared with many of her friends; known as "The Hens". She enjoyed sewing, painting, crocheting and just 'crafting' in general. Her home was always filled with many of her beautiful creations. Jeanie was blessed to have the opportunity to live out her life as she had dreamed. It was asked of Jeanie once by her eldest son what her goals and ambitions for her life were. Her response was that her only goals and ambitions were to be a wife and a mother. She was certainly a dutiful and loyal wife to her husband and a wonderful mother and grandmother to both of her children. Her absence will be forever felt and the love that she gave forever cherished and missed. The best part of Jeanie's life was spent in Peru, Indiana where she was born and lived with the majority of her family. 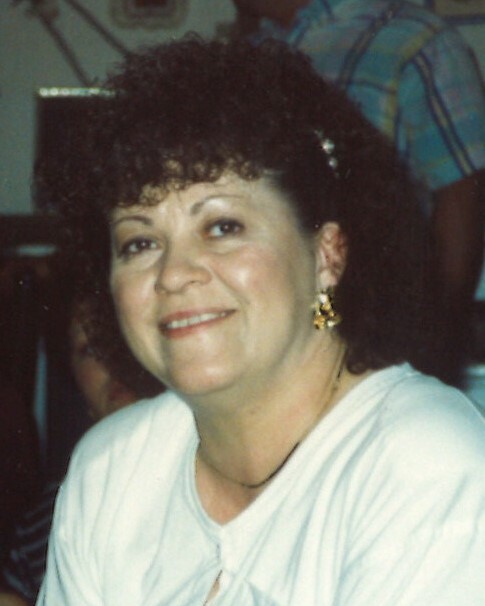 In honor of her final wishes, her viewing will be held at Flowers-Leedy Funeral home on Wednesday, March 27, 2019 between 3:00pm and 7:00pm and her funeral also to be held at Flowers-Leedy on Thursday, March 28, 2019 at 1:00pm, with Pastor Kenneth Greenwald officiating, and then interment at Mount Hope Cemetery in Peru, Indiana immediately following the funeral proceedings. Any memorial offerings can be made on behalf of Beverly Jean Brown to Flowers-Leedy Funeral Home, who is entrusted with the arrangements. 105 West Third Street, Peru, Indiana 46970. (765) 473-6674. In parting, the family prays that the Lord bless Jeanie and keep her; may the Lord make his face shine upon her and be gracious unto her, and may he look upon her with favor and give her peace. Amen. Family and friends may sign the online guestbook at www.FlowersLeedyAllen.com.